I was at Target recently and did the unthinkable – I bought the really expensive moisturizer and the shampoo that wasn't on sale. Who cares if the rest of my cart was filled with bread from the clearance shelf and cheap toilet paper - I was going to have soft, supple skin and caressable hair! I'm thinking it might be part of my mid-life crisis – giving in to my vain beauty needs while everything else takes a back seat. Next thing you know, the kids will have to go without milk for their cereal because I'll be using it to soak the callouses off my feet. 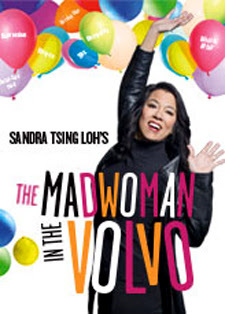 And speaking of mid-life crises, I'm really excited to see my favorite author/performer/public school mom Sandra Tsing Loh in 'The Madwoman In The Volvo' – the stage production of her best-selling memoir that hilariously takes us through her mid-life crisis that is fueled, among other things, by a random trip to Burning Man. Loh, who identifies herself as someone who is from the “Triple M Generation—menopausal, middle-aged and a mother," is so relatable and so fantastic live (I saw her years ago when she performed 'Mother On Fire') and I can't wait to see her again. 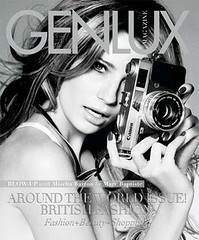 Maybe I'll get to meet her after the show and let her touch my luxurious hair. And you can see her, too. I'm giving away a 'Girls Night Out' prize package of 4 tickets to one of her shows during its run at the Pasadena Playhouse from June 2-26. See details below to enter. Self-indulgent shopping spree for beauty products at Target not included. How: Leave a comment here no later than 11:30pm Friday night (June 3) telling me about your mid-life (or if you're too young to have one yet, tell me about your parents or someone else old.) . I'll use random.org to draw a winner from the entries. One comment per person, but you can share on Facebook or Twitter for additional entries. 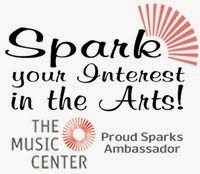 Or, if you don't win or don't care to enter, you can use the special code MOM25 for 25% off seats, excluding HOT SEATS and Sunday June 5, and buy tickets here. Please don't forget to leave a valid email address.